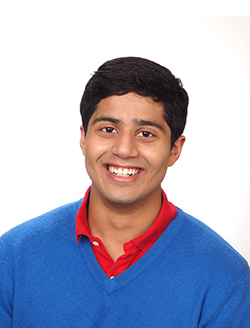 Northwestern will remember McCormick senior Mihirtej Boddupalli in a memorial service on Oct. 16. Boddupalli was killed in a July drunk driving accident after a car he was riding in crashed into a water-filled quarry. The driver, McCormick senior Michael Szot, was able to escape, but Boddupalli and fellow passenger Indiana University senior Sajaad Syed drowned. McCormick senior Brad Winters is planning the memorial along with Dean of Students Todd Adams, Associated Student Government Executive Vice President Erik Zorn and the Chaplain’s Office. Winters and Boddupalli were fraternity brothers in Pi Kappa Alpha Fraternity. Winters said some University officials will speak at the memorial and Brown Sugar and Freshman Fifteen will perform. He also said students will have the opportunity to share memories. Winters added he wants as many members of the NU community as possible to attend the service. He emphasized that Boddupalli’s absence not only impacts his friends, but all of NU. At NU, Boddupalli was a manager at Campus Solutions and worked as a fellow at the Medill Justice Project during the summer of 2012. The service will be held from 7 to 8:30 p.m. on the Norris University Center East Lawn.